WE HAVE 1 MALE FOR SALE IN THIS LITTER! The pups in this litter are priced at $1300 + Shipping. Scroll Down to see New photos! NON-REFUNDABLE deposit of $300 USD will reserve a puppy. This litter is priced at $1300. Sold to Tamara & Family of Palmer AK. for Sport & Family Comp. Dog. For sale to active family or working home! 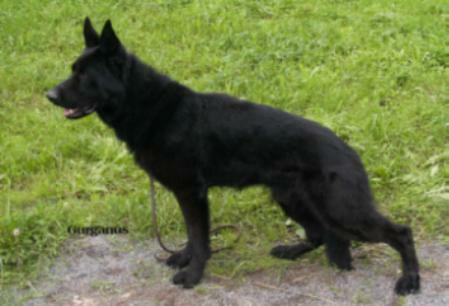 Sold to Amy & Gary of Wasilla Ak for a service dog & Schutzhund. 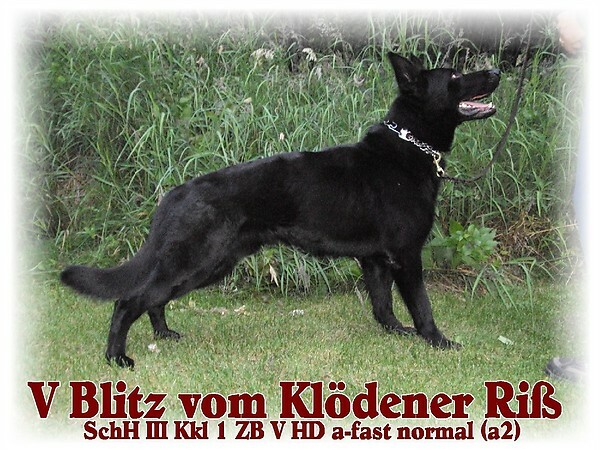 SIRE: V Blitz vom Klödener Riß SchH3 Kkl 1 ZB is a DDR/East German solid black imported male. 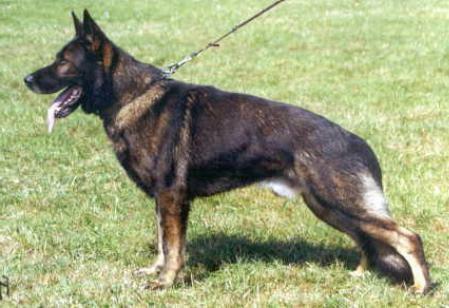 Blitz is a large, powerful jet black male with exceptional working abilities and excellent conformation. It is extremely rare to see such qualities all in one dog especially in the solid black color. Ideal in every way. Magnificent broad head, correct ear set and remarkable expression. Absolutely correct anatomy. Shows natural trainability with excellent desire to please the handler. Loves to retrieve and play with a ball. Powerful and sure in guarding with full hard grips on the sleeve. We are going to have fun working and playing with this boy. 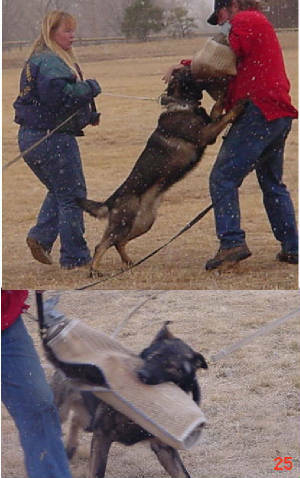 Blitz has a wonderful temperament for a working boy. Below is Brain's information off pedigree database. English: Largely, strongly, Gepräge strongly, very good expression, front straight, good first option, somewhat flat Widerrist, back sufficient firmly, stresses stretched, very good rear spar and, Gangwerk expenditure-maturing far. Nature surely, UCB pronouncedly; discharge. German: Groß, kräftig, Gepräge stark, sehr guter Ausdruck, Front gerade, gute Vorhand, etwas flacher Widerrist, Rücken genügend fest, betont gestreckt, sehr gute Hinterhand, weit ausgreifendes Gangwerk. Wesen sicher, TSB ausgeprägt; laßt ab. Tino has produced over 400 pups and has over 200 siblings. 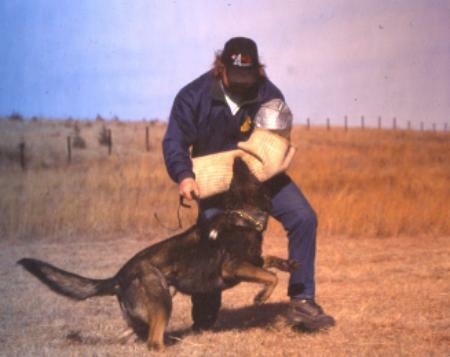 Dobson vom Lytle Son of Blitz. 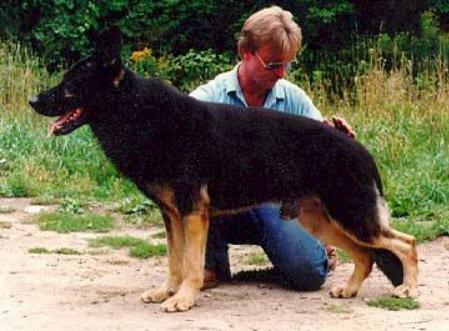 Urak's Sire is V Macho vom Kosakenwald SchHIII/FHI (3XBSP) Kkl1 HD A-Normal (a1) and he has produced more then 400 pups. 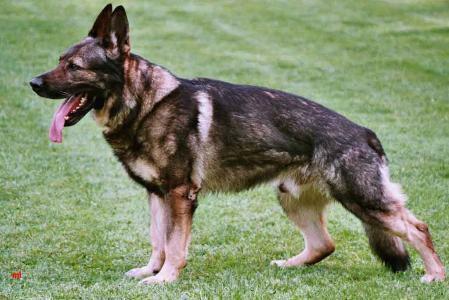 His dam is G Anja vom Kassler Kreuz SchHII HD-Normal. C Dam SG Jirina vom Struwwelpeter SCHH 3. Groß, kräftig, Gepräge stark, sehr guter Ausdruck, Front gerade, gute Vorhand, etwas flacher Widerrist, Rücken genügend fest, betont gestreckt, sehr gute Hinterhand, weit ausgreifendes Gangwerk. Wesen sicher, TSB ausgeprägt; laßt ab. WA 2002: Rücken fest.